This summer the Sabres wanted to go out and bring in a big name coach to guide their team into the next stage of the rebuild. Buffalo wanted a coach with experience in winning games in the NHL and championship pedigree. They found a great fit in Dan Bylsma. The 45-year-old Michigan native had a lot of success in Pittsburgh and brings a Stanley Cup ring to the organization. Early in the season it’s not hard to see how much Bylsma has improved the team on the ice. believed in effort as the way to victory. Nolan told his players that if you out work your opponent that you’ll win games. Neither a fore-checking or defensive zone system was set up and taught under Nolan. The lack of game planning and organization showed on the ice. 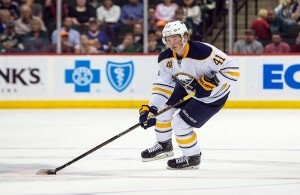 The Sabres were routinely out of position and were dominated in puck possession by the opponent. Bylsma came in with a system that suits today’s NHL and immediately implemented that plan with his hockey club. The drastic change in philosophy is evident on the ice. Over the first 9 games of the season, Buffalo has 52.0 even strength Corsi for percentage which is currently 9th in the league above teams like Tampa Bay and Anaheim. If you recall last season the Sabres were one of the worst Corsi teams in NHL history. To go along with that large improvement, the Sabres are also 4th in the NHL in shots allowed at 26.6 per game. Another category that Buffalo was dead last in last year at 35.6 per game. The team looks a lot more comfortable in their own end and are not chasing the puck. 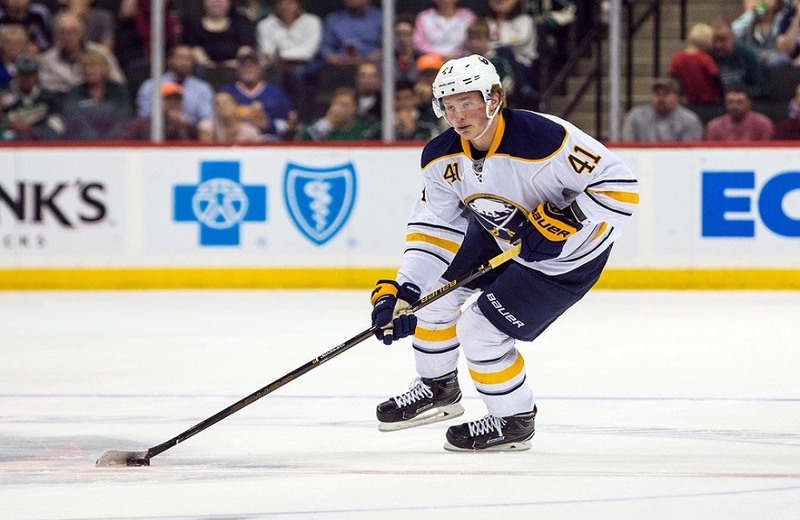 On the fore-check the Sabres again look organized and know where they need to be. Players are getting control of the puck and Buffalo is able to establish zone time and maintain possession of the puck. Last season the Sabres were always chasing the puck and letting their opponent dictate the play. Through 9 games the opposite has been true nearly every game. mentioned protecting Eichel in the beginning the season with more offensive zone stars and using O’Reilly in more defensive zone starts to utilize his skills in his own end. This isn’t an innovative approach in most NHL cities, but it’s a completely 180 degree approach to the coaching staff in Buffalo last season. Nolan liked to just roll 4 lines regardless of the situation and set up some of his players for failure. It’s refreshing to see a coaching staff that is up with the times of today’s NHL. 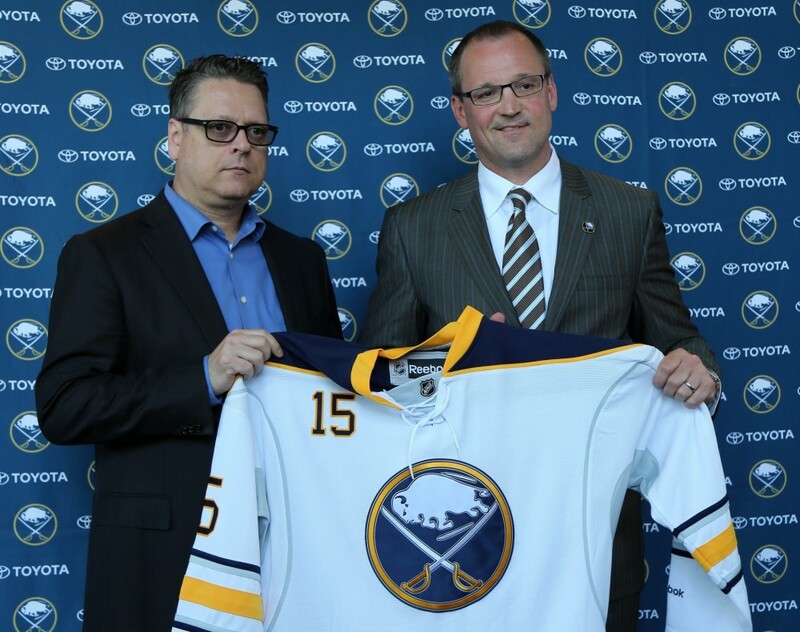 Bylsma already has his team showing big signs of improvement over last season. Once the players get more comfortable with his system and playing with the new faces, the Sabres can be a dangerous team this season.